When you add fields to the pivot table row and column areas, there are built-in filters in the heading cells. Use those drop down lists to show or hide pivot items. With programming, you can show or hide the drop down arrows. Change an option setting to be able to apply multiple filters to a field. 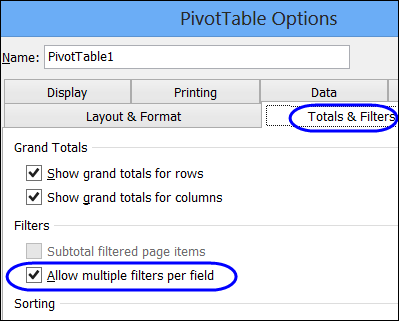 To use more than one filter per field, you can change one of the Pivot Table options. Watch the steps in this short video, and the written instructions are below the video. 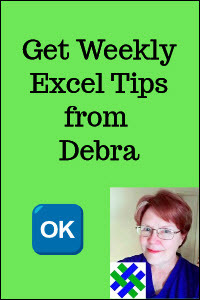 Right-click a cell in the pivot table, and click PivotTable Options. 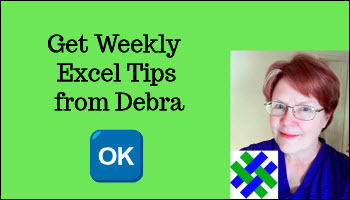 In an Excel pivot table, you might want to hide one or more of the items in a Row field or Column field. To do that, you could click the drop down arrow for the Row or Column Labels, then remove the check mark for items you want to remove. For example, to hide the data for 7-Feb-10, you’d click on the check mark to remove it. Instead of searching through a long list of items in a drop down list, you can use a quick command to hide the selected items. In the pop-up menu, click Filter, then click Hide Selected Items. 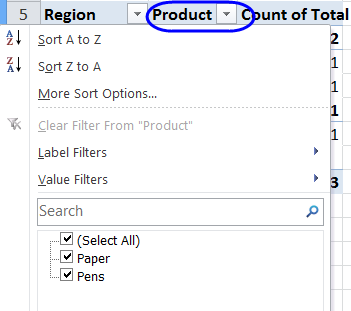 The item is immediately hidden in the pivot table. You can use a similar technique to hide most of the items in the Row Labels or Column Labels. In the pop-up menu, click Filter, then click Keep Only Selected Items. All but the selected items are immediately hidden in the pivot table. When you add a field to the Row Label or Column Label area of the pivot table, its heading cell shows a drop down arrow. To prevent manual filtering, you can hide the drop down arrows. The following code will hide the drop down arrow for every field in the first pivot table on the active worksheet. If you have turned off the drop down filters, using the code shown above, you can shown the arrows again, by running the following code. The following code will show the drop down arrow for every field in the first pivot table on the active worksheet. Instead of showing all the arrows, you can specify RowFields or ColumnFields. 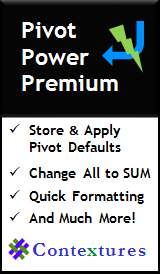 The following code will show the drop down arrow for every Row field in the first pivot table on the active worksheet. The arrows on Column and Report filters will not be affected.